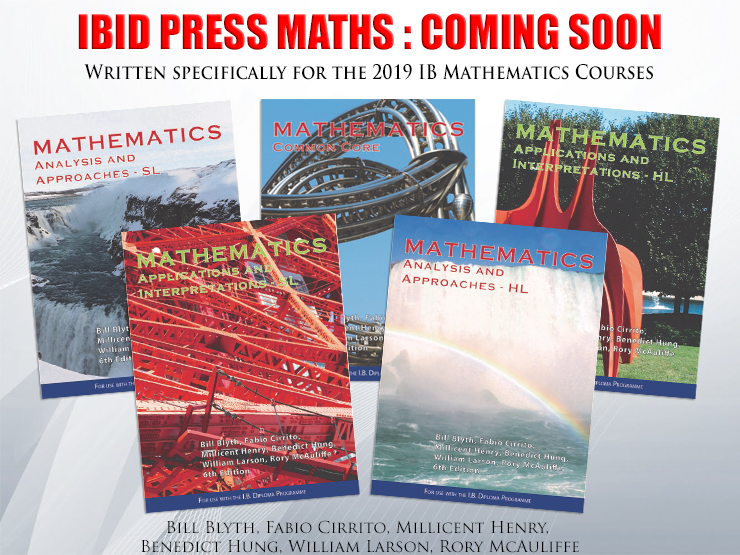 IBID Press has published for the IB courses since 1998. Our books are specifically written for the courses they serve and are not adaptations from other sources. For the new mathematics courses we have produced 5 texts which cover the Common Core, Analysis and Approaches SL & Applications and Interpretations SL and Analysis and Approaches HL & Applications and Interpretations HL. This format will help schools who need to teach as many joint classes as possible while providing the specific coverage necessary for the individual courses and the distinct levels. Each book is in full colour, contains clear explanations, associated diagrams, cultural and international references, extensive exercises and Toolboxes.